Grete Juel Jalk (1920–2006) was a Danish furniture designer. Jalk was born in Copenhagen. She completed her studies at the Danish Design School in 1946, while receiving additional instruction from Kaare Klint at the Royal Academy's Furniture School. While consolidating contacts with numerous furniture designers, she took part in the annual competitions of the Design Museum and the Design School's furniture department where she also taught from 1950 to 1960. In 1953, Jalk opened her own design studio. Inspired by Alvar Aalto's laminated bent-plywood furniture and Charles Eames' moulded plywood designs, she began to develop her own boldly curved models. General interest in her unconventional models grew only slowly although they were sought after for exhibitions and collections. In 1963, the English newspaper Daily Mirror launched a competition for a chair for a man and a chair for a woman. Despite the fact that Jalk won first prize with two different laminated armchairs, the He Chair and the She Chair, they never really came into production. Her associate, cabinetmaker and furniture manufacturer Poul Jeppesen, had made some prototypes but they were burnt in a fire, bringing the project to an end. In 2008, however, Lange Production began industrial production of the She Chair. This was not Jalk’s last collaboration with Jeppesen, she built upon her work in laminated plywood furniture with the creation of the side chair of 1962. Side by side with these rather advanced experiments, Jalk developed many simple sets of furniture for manufacturers, including a high desk and stool, a set of shelves in Oregon pine and a series of chairs with upholstered seats and backs on a curved steel base. Her industrially produced furniture has clear, comfortable lines. The pieces are especially well suited for quick, straightforward production schedules. Economic in their use of materials, they soon became competitive, increasing Denmark's international reputation for furniture design. Firms in the United States and Finland have manufactured some of her lines. 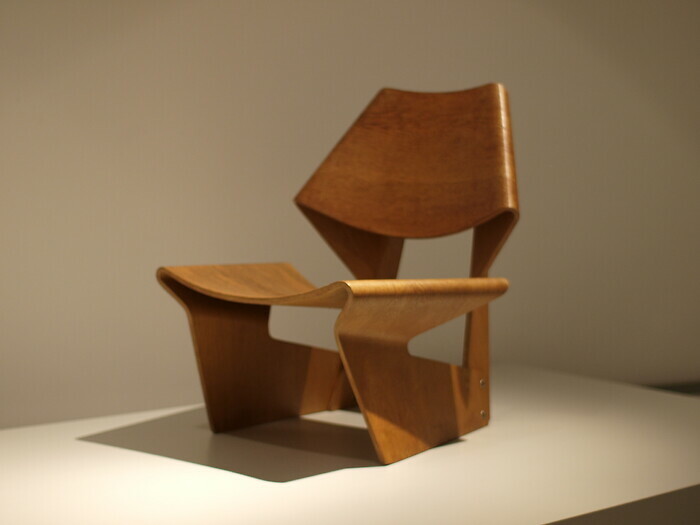 In 1963, Jalk designed a moulded teak chair that used two pieces of plywood bent into almost impossible forms. The chair, called "The Bow Chair" was manufactured for Poul Jeppesen, a company that would help Scandinavia become renowned for fine modern furniture.